facility are located in the United States of America. Reputation. At Carter, we specialize in elegant made-to-order carpets and area rugs made from 100% New Zealand Wool. Since 1919, Carter has served clients around the world with exceptional quality and service. Our personal approach to each customer's needs remains as one of Carter's most unique characteristics. Value For Money. Wool carpets repay initial investment through durability and ease of maintenance. Carter provides you with a written quote at the start of your project that outlines all items applicable to your order. Our goal is to supply you with the highest quality possible in both product and service. Why Wool From Carter. Nothing has the feel or look of 100% New Zealand Wool carpeting and area rugs from Carter. Each order is hand crafted to your exact specifications from size to color and texture. Carter affords the design professional the freedom to design the carpet around the room, not the room around the carpet. Seamless Installation. All yarns are dyed in a single lot and employ only the precise amount needed for each piece. Each piece is made from this same dye lot. Combining this with our specialty in manufacturing exact widths up to 17' means your installation is virtually waste free. Color. Carter offers a standard line of 340 "G" colors, as well as our unique "Ice" color line featuring Glacial wool. Our in-house dye facilities offer the option of custom dyeing to match any standard you may submit with prompt turnaround. Carter's color options help you accomplish your design plans with ease. Delivery. Another specialty of the Carter experience is quick delivery. We ensure personal attention by hand finishing and hand inspecting each order. 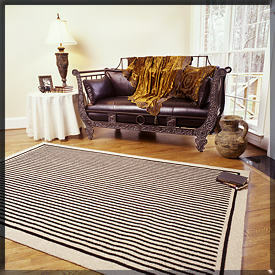 Most orders ship in approximately 3 weeks, although extra time may be required for area rugs or textures with overtuft. For added protection, carpets and rugs are packaged and shipped in strong fiber-board tubes.